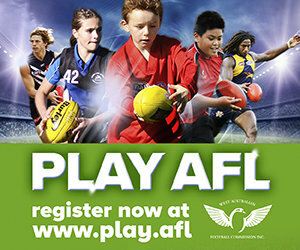 With the 2016 season now finalised, we wanting to seek comment from all players, parents and stakeholders in WA Footy in regards to your views and satisfaction whilst football is still fresh in your mind. 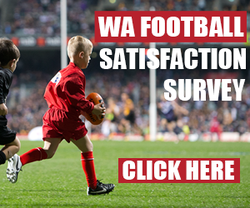 We'd greatly appreciate you taking a couple of minutes to complete our annual survey. 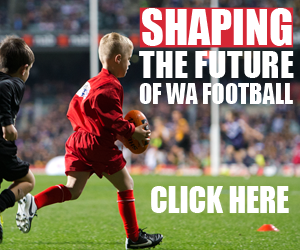 Whether you're a player, coach, official, volunteer, umpire or just love footy, your views can help shape the way our game is delivered in WA.